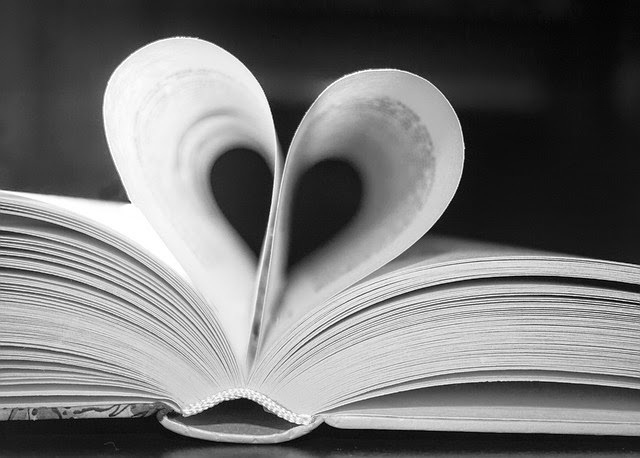 Adventures In Storytime (and Beyond): Dare To Make Any Awards Predictions? I've never tried to make any predictions before, but I'm going to give it a shot just for fun on a few of them this year. Given how I am usually completely surprised by and often unfamiliar with, most of the winners and finalists, I don't expect to get many right, if any 😉. I'd love to hear your predictions in the comments! If there's ever a sure thing, one would think The Hate U Give could be it. It's all everyone's been talking about all year, was assigned reading in my multicultural lit class, was voted best YA Fiction book and best by a debut author on Goodreads, and has already been announced as a Morris finalist. It seems likely to win the Morris, but I wonder if its popularity with the masses could possibly be a turn-off to the committee and they might want to select one of the other finalists that has not already gotten a lot of attention, like the similarly themed Dear Martin by Nic Stone. Either could also be a Coretta Scott King or CSK-Steptoe finalist and I think THUG could be one of the Printz finalists as well. I Am Not Your Perfect Mexican Daughter was already a National Book Award finalist this year, and could be a strong candidate for the Pura Belpré Award, though that one seems to favor middle grade and picture books, and the Tomás Rivera Book Award. Since the main character develops severe depression, it could possibly be considered for the Schneider award as well. This book reminded me a lot of 2015 Morris winner, Gabi: A Girl In Pieces, but darker and with the added mystery of what seemingly perfect sister Olga was up to before her death. The Librarian of Auschwitz by Antonio Iturbe is one I expect to see on a lot of reading lists over the next year. Originally published in Spain by a Spanish author, I don't know if it's eligible for any awards here, but it is certainly worthy, in my opinion. I would love to see it as at least a finalist for the Batchelder Award, though I don't think it fits their criteria for "children's literature". The main character is 14, but I would say the intended audience is older. But then again, we did see a YA graphic novel as a Caldecott honor book not long ago, so who knows how strictly they define "children's". This is a great story, made even better when you realize it is based on real people and events. When Dimple Met Rishi by Sandhya Menon has been mentioned fairly frequently, on various lists and in online discussions. It is a good book that is a very enjoyable read, but being primarily a fairly typical teen romance I wouldn't normally expect it to receive a nod from any awards committees. However, it wins points for diversity and having a strong female character going into a traditionally male-dominated field and has built up a little buzz, so I wouldn't be surprised to see it as a Printz finalist even though it is not as dark and weird is they tend to be. After all, The Sun Is Also A Star was a finalist last year, even though it is also a hopeful romance. You might notice that Wishtree by Katherine Applegate was not on my list of favorites from 2017. It was okay, but I think the story drags way too much in the beginning, and the writing seems really awkward in the beginning as well, though it smooths out later on. I just don't think this book would find wide appeal among kids, and that many would find the slow, awkward beginning too much of an obstacle to get through. However, this is exactly the kind of children's book that adults want kids to like and think they should read, so I do expect it to get a nod at the very least. Refugee by Alan Grantz is one I have not actually had a chance to read yet because I was late getting my name on the waiting list, but I have heard so many people gushing about how powerful it was, and given the timeliness of the topic, I would would not be surpised to see it as a finalist. Amina's Voice by Hena Kahn appeared on several recommended reading lists, and is really good book that shows the plurality of the Islamic religion, portrays Muslims in a positive and authentic way, but is also very relatable to others, though I'm afraid being published so early in the year could cause it to be overlooked. I read this for the multicultural youth literature class I took last May and really liked it and recommend it. Beyond the Bright Sea by previous Newbery honoree Lauren Wolk is a beautifully written story that questions our ideas of love and family, with a bit of mystery and adventure thrown in that is just as good as her previous book, without the depressing ending. I just don't know if the committee would honor the same author two years in a row. All's Faire in Middle School by Victoria Jamieson is another great graphic novel for middle grades and tweens, and I think even better than her previous Newbery honor book Roller Girl, but I don't know if the committee would select the same author and format quite so soon. It could also be considered for a Caldecott, but I think that's a long shot. The War I Finally Won by by Kimberly Brubaker Bradley is one I considered, but I had doubts about the committee choosing a sequel. I'm sure whatever the committee actually comes up with will be quite different than my picks, and there will be at least a couple of the actual finalists that I will be unfamiliar with and completely surprised by, but I hope I got at least 1 or 2 in there! Clayton Byrd Goes Underground by Rita Williams-Garcia is my other pick for the Coretta Scott King. I'm sure there are several other great books in this category, but this is the only one that I read that immediately comes to mind. I am a big fan of Rita Williams-Garcia's Gaither sisters trilogy, and this is just as about as good, though a little short for me personally and I wanted to slap his mother for being so childish and selfish! But this will be particularly great for reluctant readers. I have seen several others mention Jason Reynolds' Patina for both the CSK and the Newbery; I thought the first book in the series, Ghost, was better, yet it was not a finalist for either award last year, but Jason Reynolds is very hot right now. I also want to give a quick plug for an upcoming book by a debut author that I hope gets enough attention to be considered for the CSK next year, Like Vanessa, by Tami Charles. I don't think I'm even going to attempt to make any Caldecott predictions, because I know I won't be even close. It seems the committee and I are just never on the same wavelength. I firmly believe appeal to children should be part of the consideration for all awards, and in my opinion, most Caldecott winners and honorees appeal to adults far more than children. 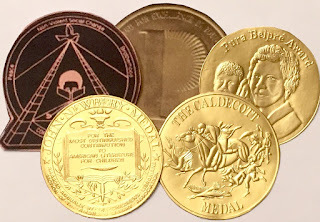 I have been very underwhelmed by most of the recent Caldecott winners and honorees, and I'm still bitter that Ida, Always was given the cold shoulder by the committee last year. I think the only book that I liked this year that has a remote chance is Creepy Pair of Underwear by Aaron Reynolds and Peter Brown. I really think we need an award for picture books that considers the whole book, the illustration and the text, in the context of appeal to children. I haven't read enough to really to have picks for the other awards and categories. So, what do you think? Am I in the ballpark on any of these? What are some of your picks? I'd love to discuss!